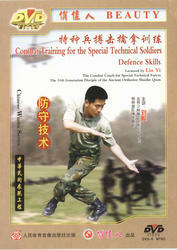 The Qin Na of the special soldiers is a practical combat skill, including fist, kick, throw, take knife, take rifle, and so on. Wrestle is an all-round counterwork. By the training of combat, Qin Na, you can strengthen your constitution; advance the combat skills, it is important for the soldiers to cultivate the combat style of long-suffering, braveness and brawniness.